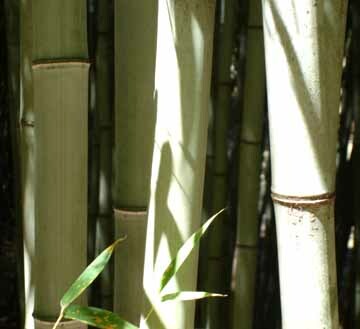 With beautiful, giant, gray canes Henon is one of my favorite bamboos. It is one of the giants and is easy to spot from a distance with it’s ghostly, gray look. When mature the canes can be almost 4 inches in diameter. My largest grove is beside the pond in a prime location with very rich soil. The timber is strong and high quality with very straight, upright culms. It is ideal for crafts and construction.